About a year ago, I tried the cabbage soup diet. I had been eating a lot of junk and chose this diet because I heard it was a good detox -- a way to get your body rid of the toxins that make you crave junk food. I purchased the ingredients which were: cabbage, tomato paste, bouillon cubes, cayenne pepper and some vegetables (carrots, peppers, and onions) to make the soup more interesting. I made the mix in a big pot which I could then keep in the fridge for the rest of the week, taking some whenever I felt hungry. The soup was actually very tasty. I like mine with a lot of pepper and could feel myself being detoxified while I was eating it as I was sweating like crazy! My only problem was that I like to drink my soup, not so much sip with a spoon, so my lips ended up getting very sore and chapped after a week of contact with the cayenne. Most people who don't like it so hot probably would not have this problem. I had very good results other than this. However, this is not a diet you would want to go on for a really long length of time. I found I lost weight quickly, but felt a little weak and dehydrated afterward. This diet is probably one of the better ones for someone who has a big event to go to and they want to look lighter and less bloated, but I wouldn't recommend this to anyone who is drastically overweight as I don't think it is the best on your health. For anyone looking to find a natural and healthy way to quickly shed toxins and water weight, the Cabbage Soup diet is the way to go. You alternate fruit, veggies, meat and soup, and it provides your body with the nutrients you need to stay healthy while triggering your body to shed water weight and cleanse toxins from your colon. I did this diet with a partner for one week and lost 12 pounds. On top of that I felt healthier and was able to begin my exercise routine with more energy and less weight to move around than before. Keep in mind that you will want to stay near a toilet at all times while on this diet, as the amount of fruit and cabbage soup you eat will make you want to expel often. This was the biggest downside of the Cabbage Soup diet, as it pretty much keeps you from going out during the diet. It doesn’t cause incontinence, but you won’t have much warning when it is time to go. Your boss may wonder why you are taking so many bathroom breaks as well. The instructions for the cabbage soup diet can be found easily online, and if you use a little beef stock in the soup it is quite tasty and satisfying. Cleansing of the colon is important to your overall health. As toxins build up they can seep back into the blood stream and make the immune system less efficient or able to combat simple illnesses. This is a great diet to get you started on the road to healthy living. Cabbage Soup Diet - worked for me! It was easy to do – there are no special ingredients – but as with all diets, the challenge was in following it, or sticking to it. The cabbage soup itself is pretty tasty, and you can spice it up if you like, and if you have a sense about cooking. Add some pepper to liven it up, or maybe swap in some different vegetables. The problem is it can be difficult to stick with it, especially around day 3. Eating the same thing every day can get tedious. Interestingly, I also found that I had more time on my hands, because I made just one giant vat of cabbage soup in the beginning, and then I didn’t have to cook during the week. It also saved some money, because I wasn’t eating the more expensive foods, for that week. And it worked: I lost 8 pounds in a week. The downside here is that it’s a very short diet. You really cannot stay on it for extended periods, because of the monotony, and also because it tends to be sort of a starvation tactic: you’re eliminating foods from your diet. It’s OK for a few days, but it’s not a healthy approach for longer periods. I think this diet would be more difficult to follow if you have a family to cook for. You could still do it, but you’d need to prepare a separate meal for everyone else. You mention two things that can be of great value to weight loss efforts. You cooked your soup in advance so you didn't need to cook during the week, and therefore you had more time on your hands. And it also saved you money. Preparing foods in advance save time during the week. You can divide the food -- soup, a casserole, a protein dish -- and save it in containers. Take it with you in a cooler and you have healthy food with you. So you're not so likely to snack. And it's cheaper than eating drive-through food or going to the vending machines. So you have more time, more money and you lose more weight. What could be better? After gaining weight week after week and month after month, to my utmost horror, I decided I couldn't take it anymore. After all what it was leaving me with was, fatigue and a bloated feeling all the day long, not to forget the depression I went through when I noticed that I was hardly able to fit in any of my dresses that I prided owning. Then one day, I walked into a dietician's clinic and after examining me and talking about what all diets I went on the last few months, if I ever did, in an effort to reduce my weight, she came up with something I had never heard of earlier - A cabbage soup diet! It sounded simply pathetic but here I was determined to go in for it and that's exactly what I did. Under her guidance, I stuck to the diet plan for an entire week and lost 10 lbs! I couldn't believe my achievement, but then I had to pat myself for doing the 'impossible' and it certainly wasn't that easy because I have been a foodie throughout. I was advised that every time I go hungry, I can splurge as much as I wish to, but only on Cabbage soup. Initial two days weren't as bad, but day after day, it became hard to gulp down the soup. Of course, it just wasn't the soup that I was asked to survive on - there was a special 7 day diet plan that was given to me and I could eat that in small portions, but soup was the key to suppress my hunger pangs. I remember day 1 it was just fruits, excluding bananas, day 2, vegetables, day 3 combined, and so on till day 7. I was also asked to drink a lot of water every day. Even though the soup was bland and I felt a little weak, but soon after I got over it to feel more confident and look good after the week long diet. 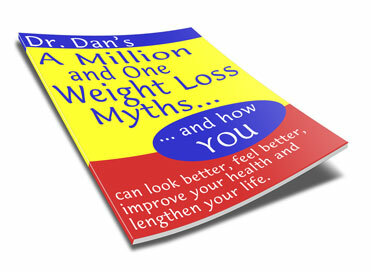 I would certainly recommend it to all, who wish to lose weight the easy way and still retain the glow on their faces. Trust me, it is worth the effort! Well I managed to be strictly on the diet plan for about 5 to 6 weeks. It was not so easy and one has to be very determined to take such diets ahead. As one can guess that under this diet plan one has to drink lots cabbage soup in a day. So obviously after a while you will hate the cabbage soup and its smell. You would want to eat something yummy -- that is why you have to have patience to carry on with the diet plan. You will not feel hungry as you will be drinking lots of cabbage soup. But all you can eat is something light and definitely nothing fried. In a way the soup helps you reduce your appetite, but you do feel very hungry, especially if you go to your favorite restaurant. It is quite difficult to continue because of the monotonous soup. However, it helped me reduce my weight initially really fast. I lost about 2 Kgs in 3 weeks. Although you need to see that you don't pig on food just after you have reduced so much weight otherwise you may even regain it. That makes the diet plan less attractive. This diet may also make you feel weak and lazy. I do not think that I would want to do this diet again but if someone wants to lose weight quickly then certainly this diet plan would help. Last year, I tried the cabbage soup diet just to see whether it is as effective as people claim. The diet is based on a very low calorie soup that contains cabbage, onion, tomato and optional bouillon. The idea is to eat the soup a lot to use a lot of calories to digest the soup and since it is very low calorie food, you use your own resources for survival. The diet is for one week and each day you need to eat according to a very strict diet plan. Depending on the day, you can eat fruits, baked potato, vegetables, skim milk, beef, brown rice and the soup. The diet is actually quite difficult to follow. There are two challenges depending on your love for cabbage. If you don’t like it, just don’t start this diet, otherwise you will suffer. A lot of people find the smell and taste of the soup disgusting but I loved it. For me, the hardest part was getting too few calories and not eating bread. Therefore, the hunger was mostly there. Also, since the type of food is very limited, going out was simply not an option during that week. Since I liked the soup a lot, the diet was not very hard for me and at the end I lost some weight. It is hard to say whether the diet is healthy, since it usually not recommended losing weight very fast. Also, I am not sure whether I lost body water, body mass or actual fat. Nevertheless, it is good to know the existence of such a diet. If someone wants to loose some weight very quickly, I can recommend it but don’t forget, the healthiest diet is the one that is supported with exercise and which is effective in the long run. You make some good points. Quick weight loss in the beginning of a diet can be good if it helps to motivate you. But what matters in the long run is stabilizing your weight at a level that is healthy and where you feel good. It's hard to achieve that without regular exercise. It all started well. I love cabbage in any form, especially cabbage soup. So I thought I'd give the Cabbage Soup Diet a try. It worked really well for the first 3 days. I didn't have a problem with eating just cabbage soup for all my meals. The results really started to show. I am 163 cm tall and weigh 63 kilos, and am 20 years old, so even a kilo shows right away. I had dropped 2 kilos by the end of my first week, but I was seeing the downsides. My first and biggest problem was the fact that I couldn't eat anything else. It got so frustrating, mainly because the cabbage soup I used to love so much would be made with a big spoon of white puffy sour cream and eaten with fresh white, almost warm-out-of-the-oven piece of bread. This killed it for me, and I can no longer enjoy simple cabbage soup the least bit. If you were to offer me a bowl of the stuff I'd probably say no unless you can give me some bread and cream to go with it. Something that I had once loved had become so disgusting to me, that even the smell seemed repulsive. The second biggest issue I encountered was the fact that I couldn't touch any sweets. Combined with a one-soup-for-every-meal diet, that was pretty hard to do. I was motivated by the weight loss, but apparently not motivated enough. I finally gave in and ate a big bar of chocolate and ended up feeling happy, and not guilty as when I had done the same with other diets. I finally chose to not keep the diet anymore. It was simply too restrictive. I managed to fit into my dress of choice, which was good enough for me. The kilos didn't come back, just half of one did, so that's pretty impressive. Bottom line, it's an effective diet, but I wouldn't do it again -- because I couldn't manage to find the determination to eat just one food all day again. Why the cabbage soup diet? Because over the past few years, because of having uncontrolled and undiscipline eating habits, I gained weight, from 97 pound to 117 pounds. Yes, that is a lot of weight. So I tried browsing in the internet to see what kind of diet to try on which is safe, organic, economical and fast to lose weight. So, I tried this cabbage soup diet. I tried this diet for seven days. I had to eat cabbage soup daily and drink lots of water. Cabbage has lots of fiber so you have to drink lots of water for fiber absorbs water. Later it will form bulk to make it easier so you don't experience constipation. It was not that easy for me to be on that diet for seven days without having my regular meals and eating my favorite dishes. I would smell the aroma of my favorite dish or watch my family eating my favorite food. It was really hard doing that. I also took multivitamins in order for my body to be supplemented with the vitamins I fail to take because I ate only cabbage. When I was eating the soup I would only imagine I was eating a different kind of dish and eating more. When our family had to dine out I usually made excuses not to come so I could stick on my diet. After that I lost weight really fast. I will try it again if I gain weight or needed on some occasion. I would like to recommend it to you people who are interested to lose weight fast but can control their food cravings for seven days and stick to only one food. The "cabbage soup". The Cabbage Soup Diet -- gets you kick started. I followed the Cabbage Soup Diet for exactly a week. This diet requires that you makeup quite a bit of the cabbage soup since this is the staple of the diet. You are allowed to eat as much of the cabbage soup as you want when you are hungry since it is really low in calories. The supplies you use for this diet are really not too expensive and it does work. I lost a total of four pounds which is pretty good. So this diet is fine if you want to lose quite a bit fast to get you kick started. The problem I found with this diet is that after the first few days you would rather go hungry than choke down the cabbage soup and I happen to like cabbage. I can just imagine a person on this diet that didn't care for cabbage at all. I made it the whole seven days but I could not have gone on even one more day eating the cabbage soup. The good points of this diet is you can use it in the beginning of your weight loss plan to get you started and help you to tame your appetite so you can get to a place of eating less. You don't have to be hungry because you are allowed as much cabbage soup as you would like. This diet can also make you a little gassy no doubt. It does work and it is a pretty simple diet that does not require much in the way of special foods. This diet is offered free to print off on the internet so no need to buy a book. You just need to print off diet and soup recipe and you are good to go. I would do it again if I need to lose weight fast or needed a simple diet but after you finish you don't want to see any cabbage for at least three months. It can be helpful to have a diet that gives you a quick boost when you are starting, especially if you need some quick encouragement. And then the next step is to get on a program that will help you get to your goal weight and stay there.